Welcome to the next in my venue edit series. 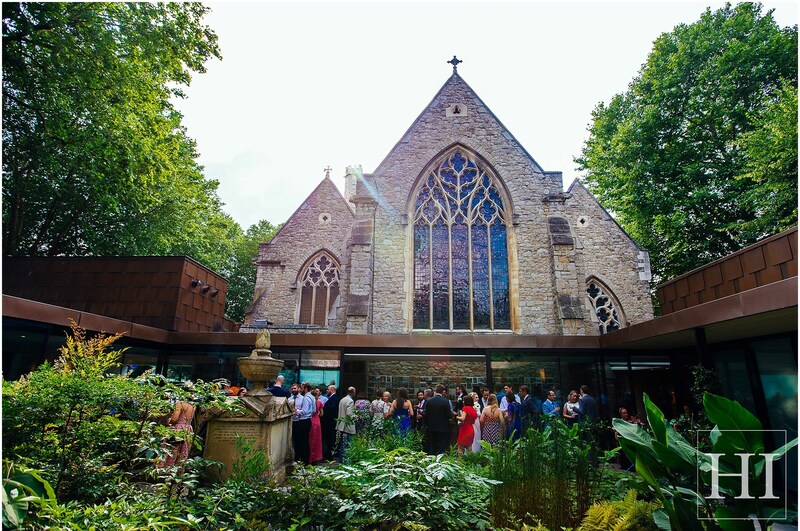 Each month, I’ll be giving you a round-up of my favourite venues in a certain category, and this time, we’re all about London wedding venues with green spaces! Whether you’re a born-and-bred Londoner or someone who’s moved to the capital for work or study, this is a city that can really get under your skin. It’s easy to fall deeply in love with London as you’re falling in love in it, and I know of many couples who moved here from the countryside and who have surprised themselves with how hooked they are on on London living. If you’re planning a London wedding but want to honour your rural roots, you might feel as if a compromise on green spaces is unavoidable. Never fear! The capital boasts some stunning venues with hidden pockets of green, right at its heart. For a garden wedding that blossoms with stories, look no further than London’s oldest botanical gardens. Tucked away in Chelsea next to the river, this beautiful garden was first planted in 1673, and today you can find more than 5,000 species of edible and medicinal plants and flowers blooming here. 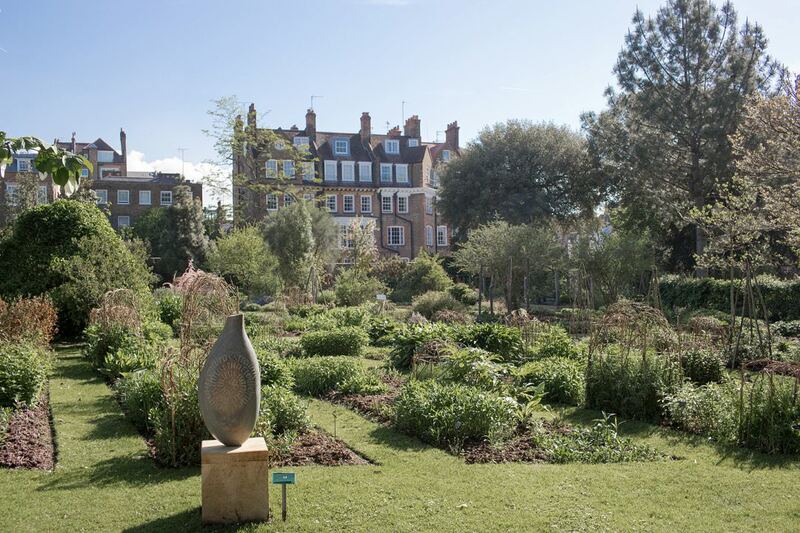 Encompassing a neat four acres of lawns, beds and pathways, Chelsea Physic Garden is available for exclusive hire. With space for a large marquee and a separate indoor ceremony room for up to 70 guests, this is a glamorous and green blank canvas for you to express your creativity with your favourite suppliers. Why not have a legal ceremony in nearby Chelsea Town Hall, then a beautiful blessing and party in the garden? If you’re a horticulturist at heart then this beautiful heritage museum is the perfect place for your wedding reception! Set in a deconsecrated church in Lambeth, the grade II listed building is a stunner, and since 1977 it’s been dedicated to the celebration of art, history and design in British gardens and gardening. Catering for groups of up to 120 people, there are two spaces available. Start with drinks and canapes in the modern oasis of the Sackler Garden, designed by garden wunderkind Dan Pearson. Then move into the beautiful nave of the museum, with its vaulted ceiling, lofty arches and stained glass windows. Whimsical and dramatic, this one-of-a-kind venue is just ten minutes’ walk from both Waterloo and Victoria stations. Though only ten minutes from Hammersmith, the city feels a world away at this 105-acre wildlife reserve. Walk among the lakes, pools and wildflower meadows, and keep your eyes out for the many species of birds and butterflies that make their home here. This modern and flexible venue boasts a choice of licensed ceremony spaces – opt for the thatched, quaint and quirky Wetland Living room out on the lakes for up to 42 guests, or the much larger Observatory with its enormous windows and split level deck for bigger groups. You can then move to the Water’s Edge space – a light and airy reception room seating 110 people, which opens out onto a wooden terrace with gorgeous views. The London skyline in the distance makes the perfect backdrop for dinner and dancing. If Bilbo Baggins went on Grand Designs, he might end up with something a little like the Mile End Arts Pavilion! 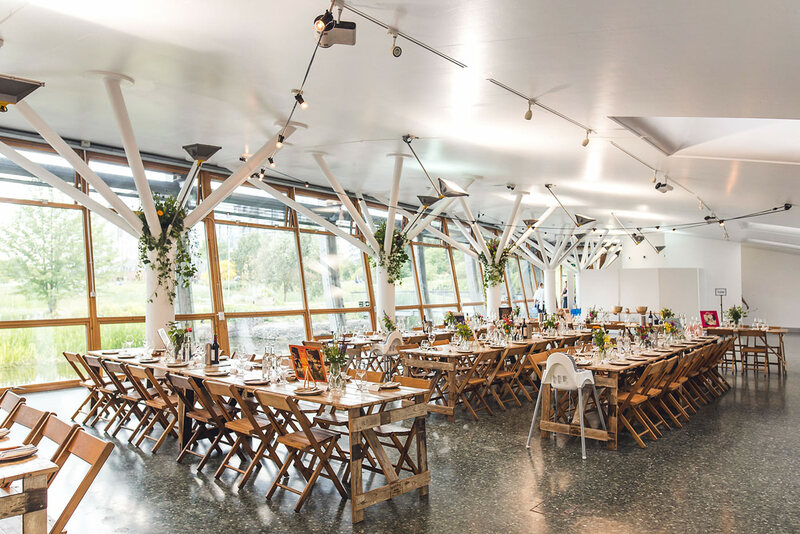 Earth roofed and set into a grassy bank, this blank canvas venue is the epitome of urban and countryside fusion. Airy and modern inside, with stunning floor to ceiling windows, the fully licensed space can hold up to 260 guests, and looks out over the lake, reed beds and lush greenery of Mile End Park. 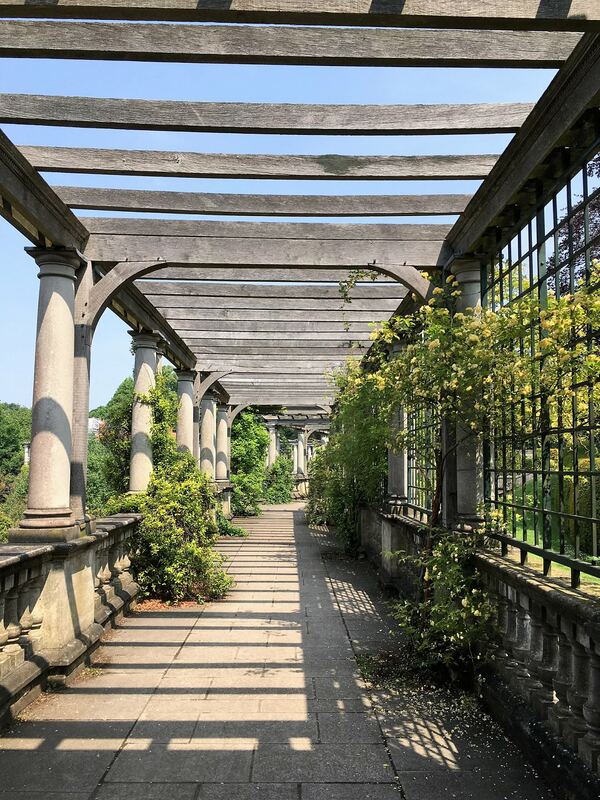 The brainchild of Edwardian Lord Leverhulme, these beautiful raised gardens, elaborate stone walkway and domed rotunda overgrown with vines make a gloriously grand location for an outdoor London wedding ceremony. 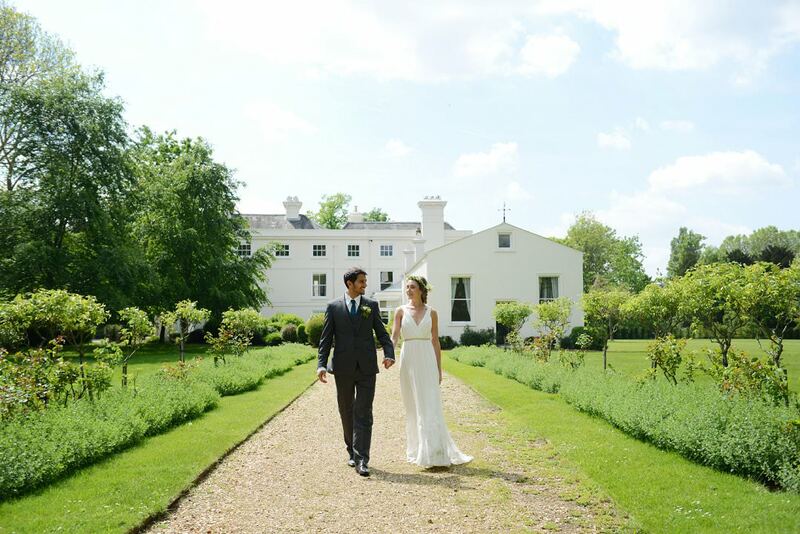 Atmospheric and elegant, this hidden gem in a corner of the heath is available for hire for two hour bookings – perfect for an intimate and gorgeous wedding ceremony and drinks reception. 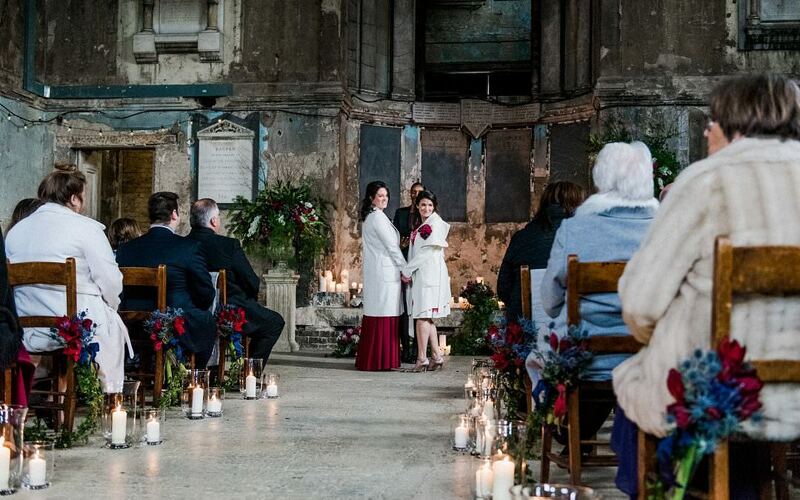 Five minutes from North Greenwich tube station lies this incredibly special venue. I get goosebumps every time I visit as there’s just so much potential here. The Jetty is a huge floating garden; an urban greenhouse right on the river than can host up to 400 guests. When not hired out for weddings and events, The Jetty offers pop ups and classes in urban farming, gardening and yoga, among other things. Volunteers come to tend to the vegetables and flowers, and an on-site cafe is in the works. 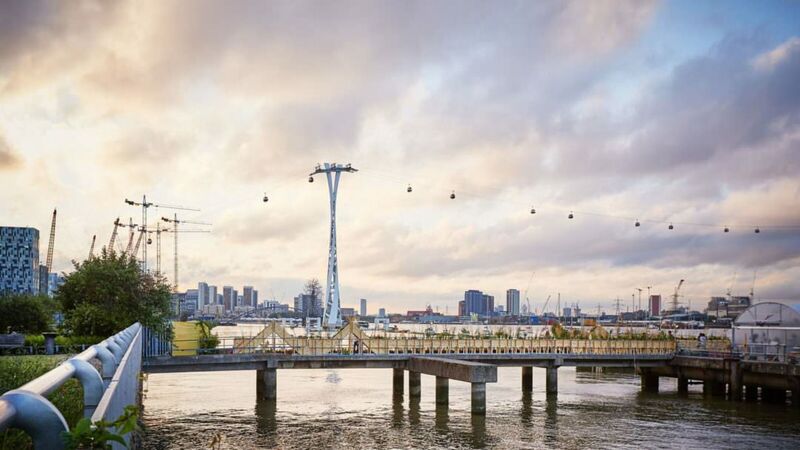 This is such a wonderful addition to the cultural community in Greenwich and I can’t wait to see how it develops. The feel of a country house venue within a stone’s throw of Finsbury Park. Sound good? Welcome to Clissold House. This beautifully restored 18th century mansion features a grand porticoed entrance, light filled rooms, marble fireplaces and a spiral staircase to die for. 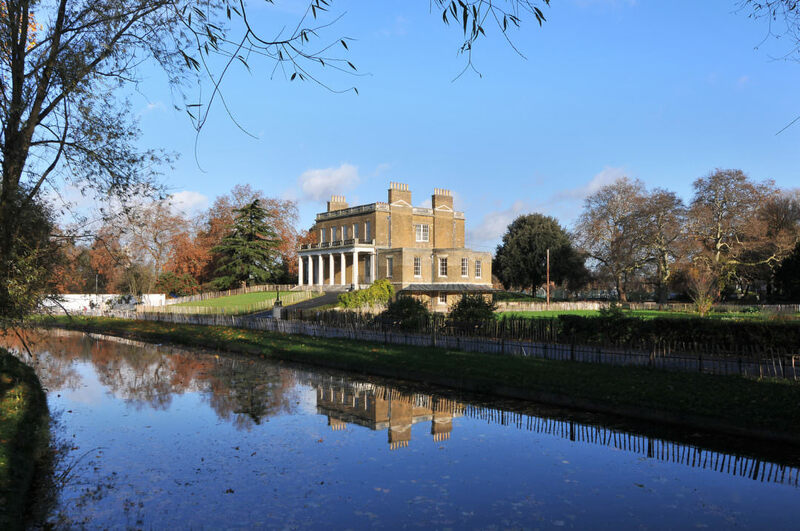 The house is set in the serene green of Clissold Park, with its fountains, lake and fallow deer. 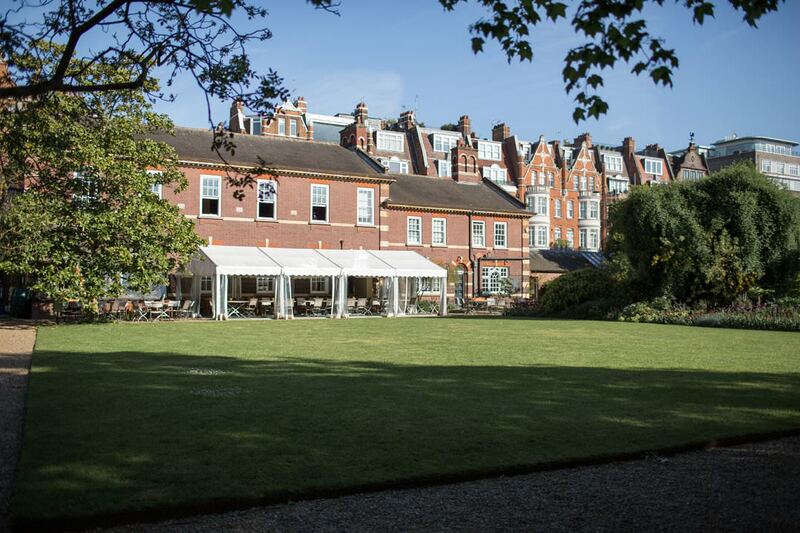 With two rooms licensed for ceremonies, and capacity for up to 60 guests, the sweeping views across the park and gorgeously grand setting make this a sought-after London venue. If you think London’s not the place for an island wedding, think again. Ravens Ait Island has two acres of beautifully maintained gardens, wooden decking out onto the river and a host of fabulous riverside photo opportunities. With ample space for a marquee if an al fresco affair is top of your wishlist, there are also two airy and modern function rooms available – both of which are licensed for ceremonies and seat 120 and 250 guests respectively. Watch the sun setting over the water on your own private island – does it get more romantic than that? The space, tranquility and exclusivity that Morden Hall offers is a rare find anywhere, but given that this is a venue that’s comfortably on the tube map it becomes even more impressive. This manor house was built in the 1770s and has sat proudly in 125 acres of parkland (now owned by the National Trust) ever since. Within these sweeping lawns are Morden Halls own private gardens, including a wrought iron footbridge over the meandering river Wandle. These are exclusively yours for the duration of your wedding celebration. With a range of stunningly restored rooms available for your ceremony and reception you’re spoilt for choice. My personal favourite has to be the duck egg blue haven that is the Willow Suite – perfect for a romantic ceremony of up to 120 guests. There’s something a little bit exhilarating about the prospect of a building with the word ‘palace’ in its title, don’t you think? Whether you choose to have your ceremony in the oak panelled Great Hall or among the magnificent chandeliers of Bishop Sherlock’s Room, you can be sure the your surroundings will not be short on splendour. There’s been a bishop’s palace on this site for centuries, and I think there’s something really special about saying your vows in a place that resonates with stories from the past. The grounds here are something to behold, too. You and your guests will enjoy a beautiful walled garden bursting with colour and several impressive trees, including an ancient and majestic 500 year old oak. Because I like to spoil you, here’s a bonus eleventh wedding venue with green spaces that’s new to the London wedding scene, but that I feel sure will make a real splash. Opened in October 2017, this gorgeous space is London’s largest wetland. Its choice of ten reservoirs provide a range of stunning backdrops for your photography – from glittering London skyline to lush green islands. The Grade II listed Coppermill Tower soars above the trees, providing a platform with some seriously impressive panoramic views. 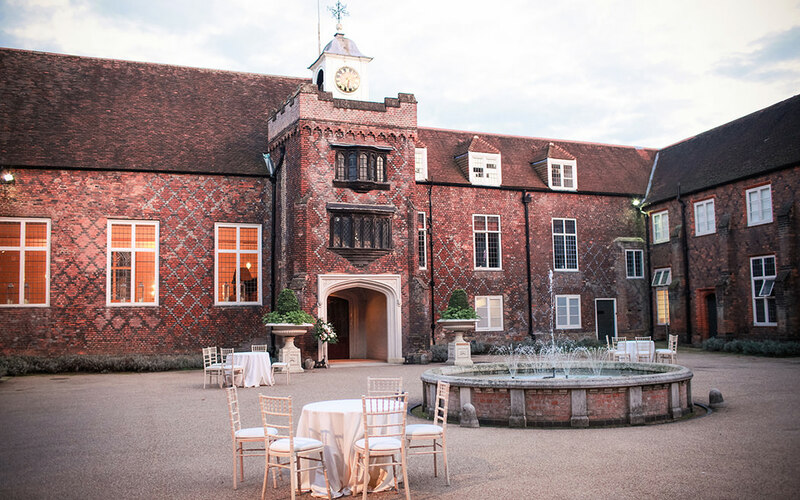 The Engine House has been carefully restored, revamped and revitalised to provide a beautifully lofty, exposed brick space that can cater for ceremonies and receptions of up to 300 people. I hope these London wedding venues with green spaces have been a breath of fresh air for you, and left you feeling inspired about your London wedding. 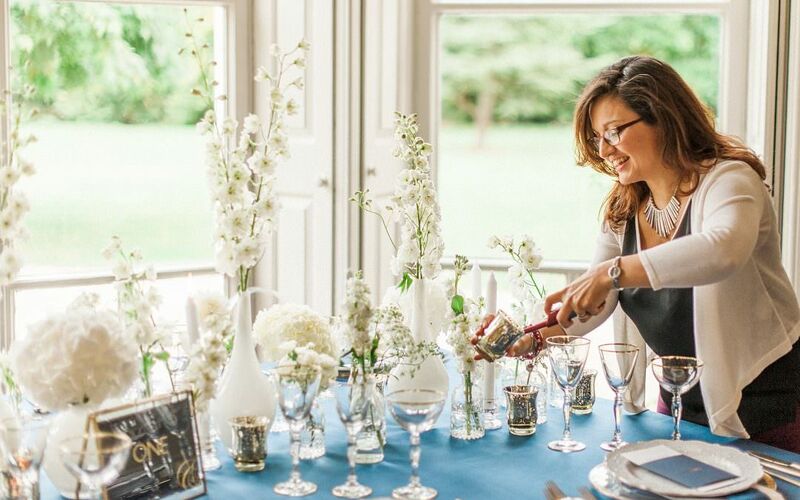 If your venue hunt continues, check out my round up of light-filled and lovely orangery style venues in London and beyond, and make sure you check back here for the next in the venue edit series – it’s a must for all you foodies out there. If you’re struggling for ideas on how to bring what’s in your head to life, and need some creative support and guidance along the way, get in touch and let’s have a chat.